The cup-shaped orange-yellow flowers of Potentilla Mango Tango® contrasts beautifully with the grey-green foliage. A small deciduous shrub that shows great tolerance to drought and is ideal for growing in a sunny rockery or border where it will perform best. Height 90-100cm. Supplied in a 7.5-10 litre pot. 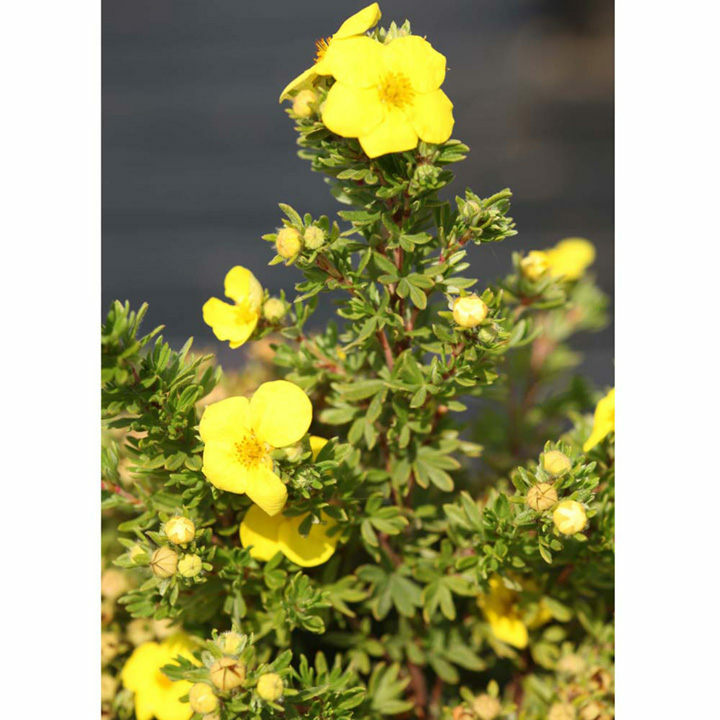 The cup-shaped orange-yellow flowers of Potentilla Mango Tango® contrasts beautifully with the grey-green foliage. A small deciduous shrub that shows great tolerance to drought and is ideal for growing in a sunny rockery or border where it will perform best. Height 90-100cm. Supplied in a 3 litre pot or 7.5-10 litre pot.